You can hear me oohing and aahing every time I enter a store and I'm greeted with displays of blush and pastel tones in anticipation of Spring. Even more so since I decided that blush was one of our wedding colors! It's starting to become a bad thing for my wallet because I simply can't resist buying cute pieces in this color- it's just so girly and elegant! Today I paired two of my newest blush pieces of clothes with black skinnies and a chunky scarf to tackle a very windy morning (as you can tell by my Beyonce-like hair). 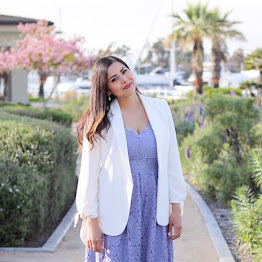 Don't forget to enter my "Hello Spring" Giveaway valued at over $100 here! 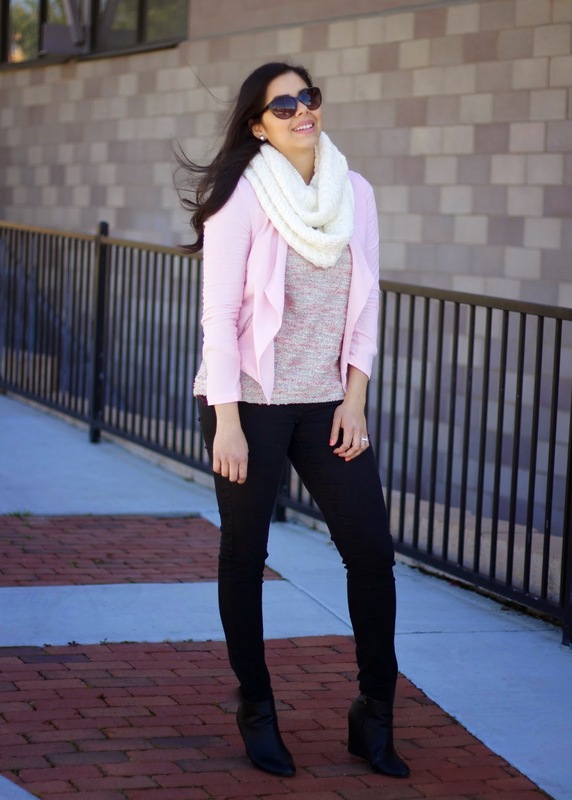 You look beautiful in blush! I like the sweater + jacket together. It looks comfy but also great for the office. Thank you Miriam! Def great for the office! Thank you Bisma! Will do! Yay! Glad you like it!! Thank you Isa! Yes, the jacket is def my newest obsession! 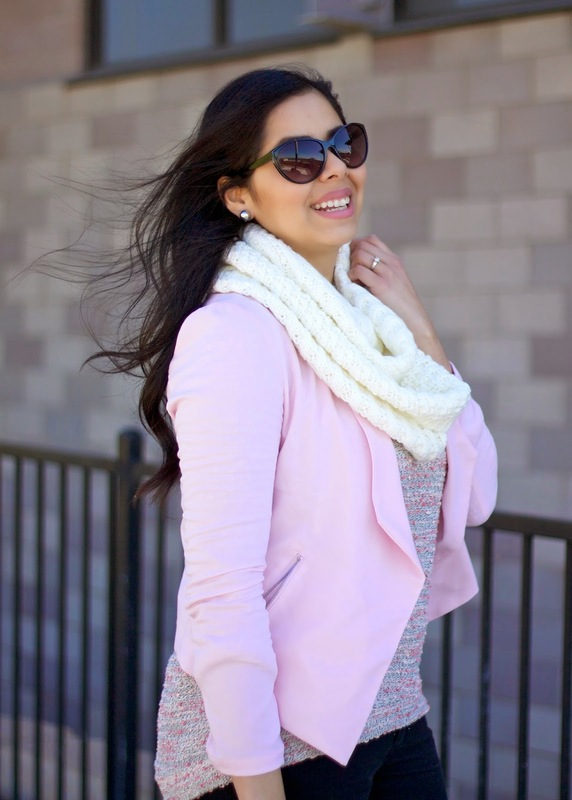 I love these soft colours on you Paulina! You look great! I know... blush has stolen my heart <3 Thanks girl! Cool look, I love your pink jacket!!! 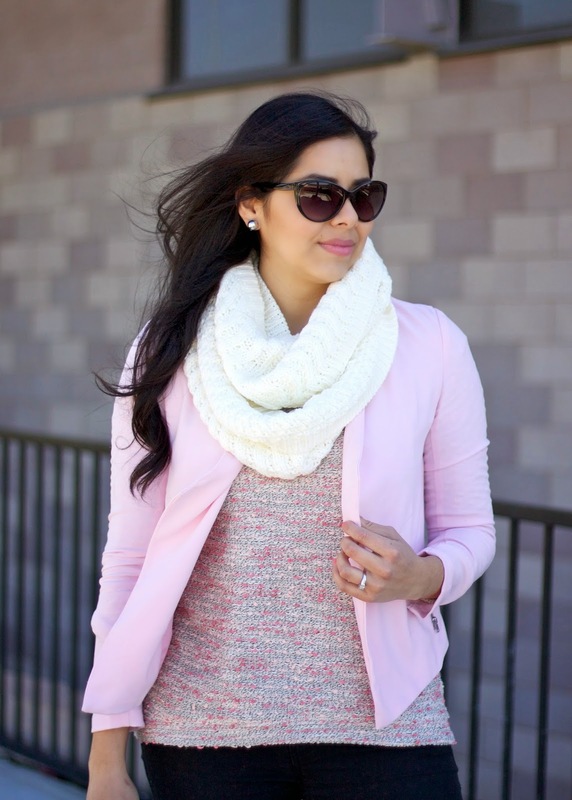 the pink jacket and sweater are darling pieces! What a great look a fun and classic pairing it is stunning. Very nice scarf & jacket match!